Clean Cities Sweep takes place each year throughout March and April. Students and teachers plan and conduct cleanup and beautification projects that positively impact the community and environment. KCB lends litter cleanup supplies to registered schools. The first 10 schools that register projects for Clean Cities Sweep, can also request $100 worth of other cleanup/beautification project specific supplies. Once registered, project coordinators will receive a confirmation email/phone call to further coordinate their Clean Cities Sweep project and the pickup of supplies. The registration link is at the bottom of this web page. At the conclusion of the projects, schools submit a decorated tri-fold poster illustrating how their project impacted the school and the community. Student posters are used to assess the impact of Clean Cities Sweep projects. 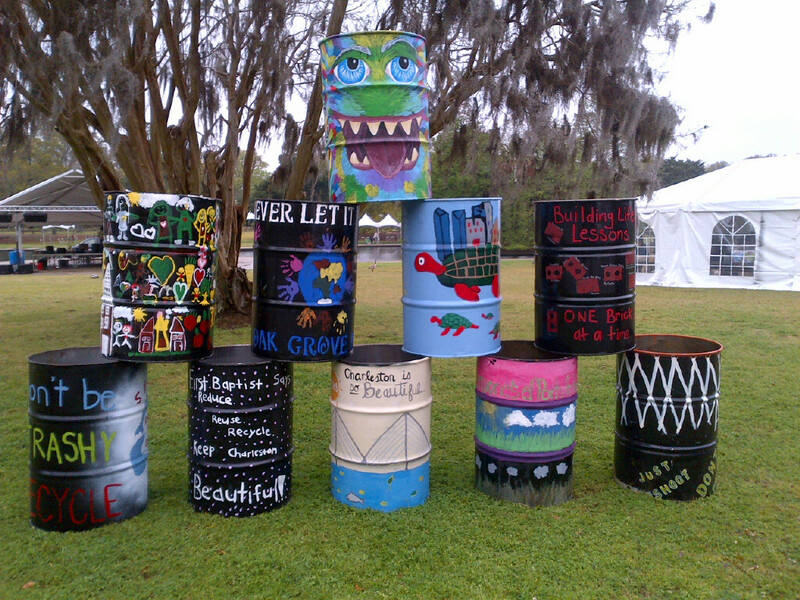 Registered schools are provided with a 55-gallon steel drum trashcan, and have the opportunity to create inspiring litter preventing trashcans. Cans are used for the Adopt-A-Stop program to encourage proper waste disposal at CARTA bus stops in the City of Charleston. Supplies are possible thanks to support from Keep South Carolina Beautiful and Palmetto Pride, The City of Charleston Community Assistance Grant, and Keep America Beautiful.